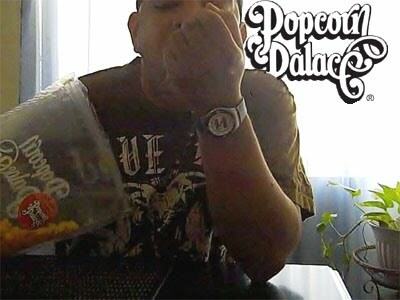 16 billion quarts of popped popcorn are eaten annually in the United States! By all accounts, what we call corn or maize was cultivated in Mexico thousands of years ago by domesticating a grass called teosinte. Corn was so important to the Native Americans who farmed it that they incorporated the vegetable into their religion and creation stories. 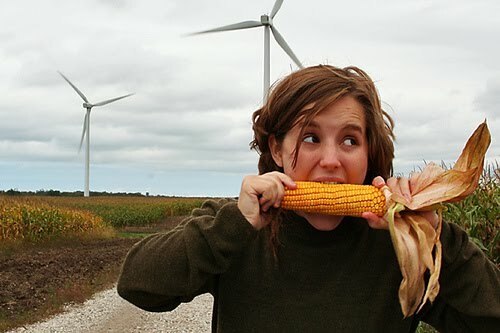 In the United States, corn is valued as not only a food but for medical research purposes and as the key ingredient in ethanol, a biofuel. Although there are many variations of corn, there are five main types: dent, flint, sweet, waxy, and pop. Dent is the most common type and is white to yellow in color. This versatile corn is used for food as well as making plastics and absorbent materials such as diapers, soap and cosmetics. Flint comes in all colors and its kernels shrink upon drying. 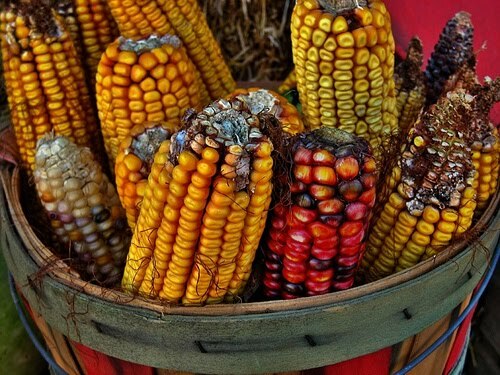 The kernels become very hard and are used for purposes similar to those of dent corn. Sweet corn has a high sugar content and is the variety that we eat the most as a vegetable, whether it be as fresh corn on the cob, frozen, or canned. Waxy is named after its appearance. With a high starch content, it is used in food for its thickening properties, and used industrially in adhesives. Like dent, it is also used to feed animals. Popcorn is the most fun variety of them all! 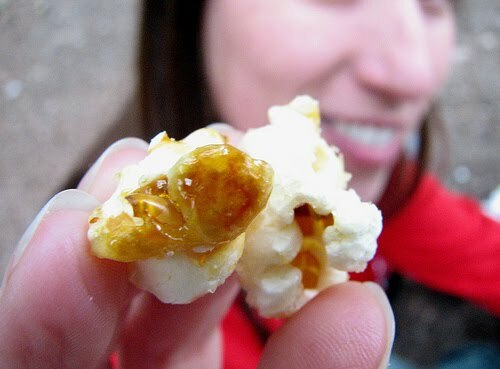 With a hard outer skin and a soft starchy center, the kernels pop open when heated to a certain temperature. Popcorn is a favorite snack and a must at the movies. 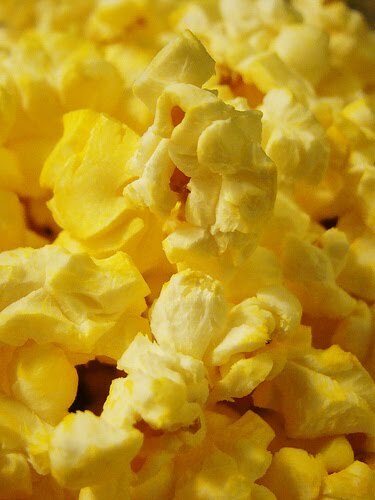 In ancient times, popcorn was used not only as food, but as a decoration, and still is used in that manner today! However, popcorn is best known as a healthy, versatile snack. It is most popular in the United States, where 16 billion quarts of popped popcorn are eaten annually! That breaks down to 52 quarts per every man, woman, and child. About 70 percent is eaten at home and the remainder in places such as movie theaters and stadiums, venues associated with fun. The main states were it and other kinds of corn are grown are Illinois, Indiana, Iowa, Kansas, Kentucky, Michigan, Missouri, Nebraska, and Ohio. Popcorn is not only yummy, it’s good for you! Air-popped popcorn is only about 30 calories a cup, add 20 calories if cooked with oil. Popcorn is a whole grain, providing complex carbohydrates for energy and fiber. Because it is so versatile, popcorn can be used in an endless number of tasty ways. Popcorn balls, made with melted marshmallows and butter, are a favorite treat in the fall. The popped kernels can be ground up and used as a flour in baking. Tasty confections can be made with the addition of an almost limitless combination of both sweet and savory flavors.Popcorn Palace, in fact, make 27 different flavors of popcorn. Find your favorite today! Robert Alexander: Raising funds from coast to coast! Some examples of organizations Alexander has helped are: a cheerleading squad that needed to raise funds for uniforms, his nephew’s Boy Scouts troop, and another Boy Scout troop whose captain had reached out to him for fundraising help. Our Father’s Day Popcorn Winners! 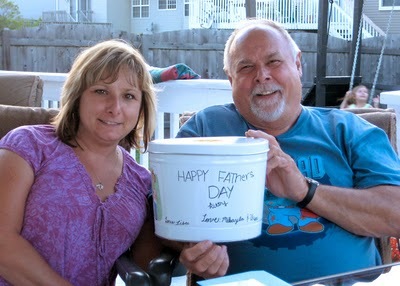 The following popcorn lovers won popcorn for their Dads this Father’s Day. Recently, Popcorn Palace ran a contest to celebrate fathers across the USA where entrants entered to win a tin of gourmet popcorn via Twitter (@popcornpalace) and Facebook. To win, they had to tell what made their Dads great and why their father’s deserved the gift of popcorn. Barbara Wright: I want to give my Dad the gift of popcorn because he can fix anything. And not only can he fix stuff, but he doesn’t give me a hard time for not learning how to do it myself! Lisa Wolter Anderson: I want to give my Dad/Father the gift of popcorn because he has been my rock since my Mom passed away 24 years ago. He is always there for me through thick & thin! He has also become the father figure for my 9 yr old since her father is not in the picture. My Dad always thinks about other people before himself. I have many great memories growing up and he would be making popcorn on the weekends with an old kettle popper. Joanne Schultz: I want to give my Dad the gift of popcorn because he’s worked hard all his life to provide for his family, sent 2 kids to college, maintained their house and cars, so he deserves a treat! 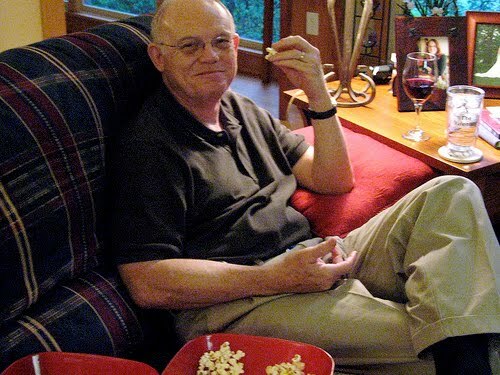 @2boysblue: My dad deserves #poppalace because he is such a sweetie and loves his munchies and movies. Julie Jones: I want to give my dad the gift of popcorn because he’s a movie freak and loves popcorn. And for me these two things just go hand in hand. Mmm. Thanks! Well done to our winners. We sure hope your Dads shared their delicious gourmet popcorn with you! Be sure to follow Popcorn Palace on Twitter and “like” us on Facebook for your chance to win popcorn every week! Two years after the first Mother’s Day observance in West Virginia, Dodd approached Spokane’s ministers, who embraced the idea along with members of the local YMCA. She suggested a date of June 5th, three weeks after Mother’s Day, as it was her father’s birthday. The ministers suggested a later date of June 19 in order to adequately prepare the appropriate sermons for their congregations. While trying to promote a national observance of Mother’s Day, newspapers across the nation also carried the story of Dodd’s proposed holiday. Political leader and orator William Jennings Bryan, who also supported Mother’s Day, was quick to endorse Dodd’s efforts. However, the all-male Congress was hesitant to follow in his footsteps, believing that making the day official would seem too self-congratulatory. The idea of a day set aside to recognize fathers was also met with a measure of derision and jokes. 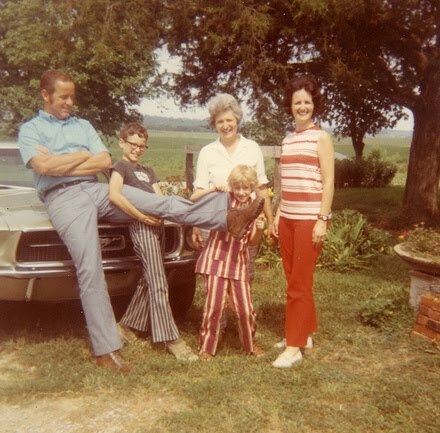 Finally, in 1966, President Lyndon Johnson proclaimed the third Sunday in June as Father’s Day, a day to honor all fathers. In 1972, President Richard Nixon legally made it a permanent national holiday. It is now observed on the third Sunday in June in 55 countries around the world. Similar observations are held elsewhere on different days. Although celebrated in a variety of different ways, what Father’s Day means around the world is celebrating family and honoring the men who are a part of that. Since 1909, sons and daughters (yes, you!) have set aside the third Sunday in June to celebrate their Fathers, Dads, Pops, Papas and Pas! 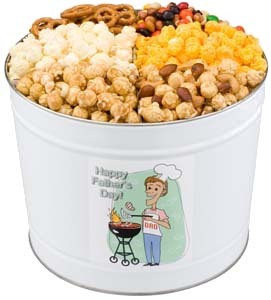 To help you celebrate your father, Popcorn Palace is giving you the chance to win one of five fantastic Father’s Day popcorn tins for Dad. After all, the fastest way to a man’s heart is through his stomach! Or do both to double your chances! Each entrant may enter only once on each platform (Facebook and Twitter) for a maximum total of 2 entries per person. Entries must be received by 12 midnight (CST) on Sunday, June 13. By entering, you are giving us express consent to repost you photo (if you choose to upload one) and tweet/comment on our blog. * Only U.S. residents are eligible to win. * We cannot guarantee the delivery time. 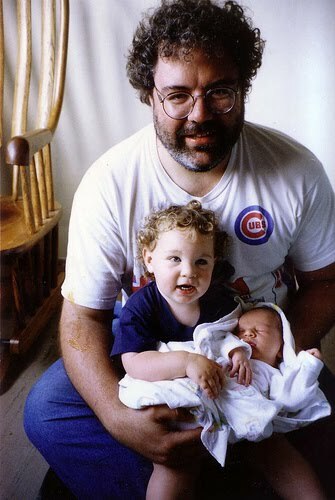 Click here to read about the origins of Father’s Day. Founded in Inglewood, California in 2003, The ING Hoops Youth Organization became a nonprofit organization and joined the Amateur Athletic Union (AAU) in 2005. They now proudly boast of one of the best AAU traveling teams in the state. This group of young men are some of the most talented and dedicated around, with a coaching staff personally committed to teaching the game to the best of their ability. The team motto? One Vision, One Goal, One Team. ING Hoops believes that positive character development can be accomplished by focusing on core values such as compassion, commitment, integrity, respect, health and responsibility. They strive to develop these values in these young men through mentoring, academics and exemplary sports. The main goal is to prepare these athletes to compete on a national level while installing Godly principles that will ultimately allow them to rise above any negative influences and activities they may encounter. By seeking the highest level of competition, it is the coaches’ goal to develop their basketball players into a position of being awarded college scholarships based on their talent and academics. 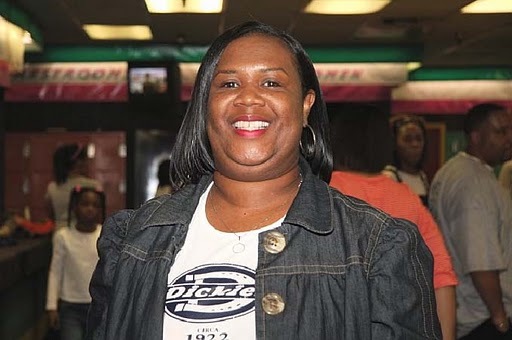 Felicia Dean, vice president of the ING Hoops Youth Travel Basketball Organization, has been the fundraising coordinator for the organization for more than five years. Dean wanted to find new and exciting ways of raising funds for the team’s equipment, tournament fees, travel expenses, etc. While searching for a fundraiser other than cookie dough or candy, a close friend told her about Popcorn Palace. However, Dean wasn’t expecting the kind of response she got by fundraising with Popcorn Palace. “Participants were eager to buy the popcorn because it looked really good and they wanted something they could eat right away!” And since they got to keep 50 percent of the profits, it was also their most profitable one. “Out of all the fundraisers we have tried throughout the years, Popcorn Palace has been our number one fundraiser of them all!” she exclaims. Popcorn Palace has proven so popular for the team’s fundraising, in fact, that she has people asking for it year round. “People are always asking ‘When will you be selling that good ol’ popcorn again?’ They absolutely love it!” Dean said. “It is the best fundraiser for any age group event. You are guaranteed a profit!”To learn more or to support ING Hoops Youth Organization, email them atinghoops@sbcglobal.net. If you have a cause that you need to raise funds for (or you just love the taste of gourmet popcorn) visit Popcorn Palace today!